We take care of your cat while you're away. Cat sitting is the perfect alternative to a cattery allowing cats to remain in the security and comfort of their own home. 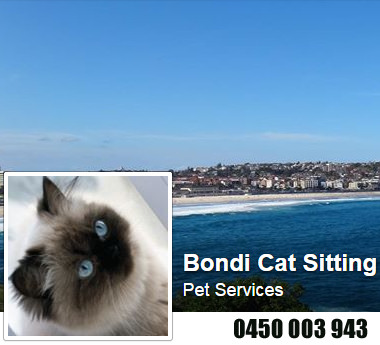 For the past 7 years we have been taking care of pets all over the Eastern suburbs of Sydney. We take pride in our professionalism, care and reliability so that you can go away reassured that you cat is well cared for. 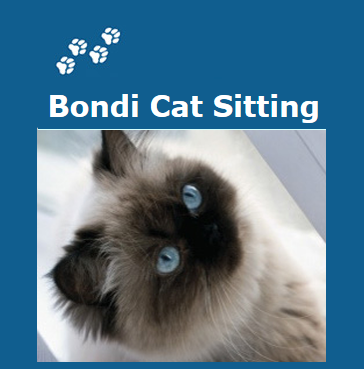 Bondi Cat Sitting provides cat minding services to residents within the Eastern Suburbs of Sydney. We provide once or twice a day visits, depending on your pets needs. Before you leave we will arrange a time to visit you and your pet/s to introduce ourselves and see what needs to be done. You will have direct contact numbers of your pet minder should you need to reach them while you're away. A standard daily visit lasts around 20-30 minutes, during which we will feed your pets, cuddle, play and also clean litter trays and bowls. If you're away for an extended amount of time we can also bring in your mail and newspapers, open and close curtains, water plants and turn lights on and off. Your home will generally have that "lived-in" look while your away. The price is all inclusive. Yes, We are fully insured! Call or message us to make a booking!